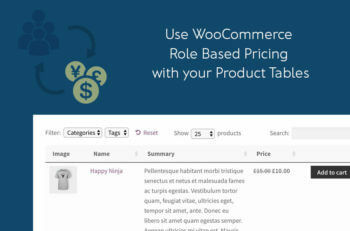 There are lots of WooCommerce role based pricing plugins which show discounted prices to certain WordPress user groups. But which ones can you use with non-standard store layouts, such as a product table view? We’ve tested the official WooCommerce Dynamic Pricing plugin, plus the the free WC Role Based Price and Dynamic Pricing and Discounts for WooCommerce plugins. They all work beautifully with our WooCommerce Product Table plugin. And if you’re using Product Table with its sister plugin, WooCommerce Quick View Pro, then the role-based pricing will work in the quick view lightbox too! I’ll tell you how all these plugins work. Who needs WooCommerce role based pricing with product tables? Lots of people use Product Table as a WooCommerce wholesale plugin because it creates a trade-friendly layout with small images and extra product data. It’s ideal for wholesale sites where customers are already familiar with your products and place regular orders. You can use a WooCommerce role based pricing plugin to avoid having to create separate products for public and wholesale users. Simply create a separate wholesale role with the User Role Editor plugin, and add a wholesale price for each product. You can use product tables throughout your store. Or if you only want to show product table layouts to wholesale users, then you can create a hidden wholesale area (e.g. using a password protected page or membership plugin). Retail customers will see the standard store layouts and prices, whereas wholesale users can view the trade discounts in the wholesale area. WooCommerce Product Table is perfect for creating a bulk order form. Customers can tick all the products they want, select variations and other types of add-on, and add to the cart in a single click. You can give discounts to specific user roles or groups via a user role pricing WooCommerce plugin. Customers will log into your website as normal, and will receive the correct discounted price for their user role. Read our tutorial on how to create a WooCommerce order form. You can use either the official WooCommerce Dynamic Pricing plugin, WC Role Based Price or Dynamic Pricing and Discounts for WooCommerce with WooCommerce Product Table. The table plugin lists your products in a filterable table layout or one-page WooCommerce order form. The role based pricing plugins give discounts depending on the logged in user’s role (e.g. administrator, editor, wholesale, etc.). Note: Of course you only need WooCommerce Product Table with one role based pricing plugin, but I’m telling you about three to give you a choice. Dynamic Pricing (official plugin) and WC Role Based Price – If you’ve set up role based pricing for specific user groups then these user levels will see their discounted price. The main price will be crossed out, showing the discount they are getting. If a particular type of user doesn’t have a discount available, then the full price will be shown to them. For variable products, the discount will be shown when they select a variation from the dropdown. Dynamic Pricing and Discounts for WooCommerce – The Price column will always show the full price, but there’s a setting that you can use to show the discounted price above the add to cart button. If your WooCommerce tables include add to cart buttons or checkboxes, then customers can select a quantity and click to buy. The product will be added to the cart with the correct discounted price. Which WooCommerce role based pricing plugin should I use? As you can see, we’ve tested WooCommerce Product Table with 3 different user role based pricing plugins. You only need one, so read about each one and choose the best one for your site. If you need a recommendation, then I would recommend the official WooCommerce Dynamic Pricing plugin. This plugin is from WooCommerce.com and it’s always a good idea to use official extensions where possible. This helps to ensure compatibility with other plugins and you can be sure of receiving good support compared to a free or less well-known plugin. Role based pricing plugins assume that you have a single version of each product, with different pricing for different user levels. If you prefer, then you can achieve a similar result using the WooCommerce Protected Categories plugin. This plugin lets you create completely separate product categories (each with their own products) and hide them from public view. Instead of integrating with WordPress user levels, it protects each hidden category with a simple password. This is a useful alternative if you want separate versions of each product. For example, you’ll need separate products if there will be other differences as well as pricing (e.g. unique SKU’s or descriptions). Give the password to each user, and they can enter it on the category login page provided by the plugin. On entering a correct password, they will be redirected to the category containing the products for their user group. These products are only visible to people with access to that category. No one else will be able to see the role-specific pricing. 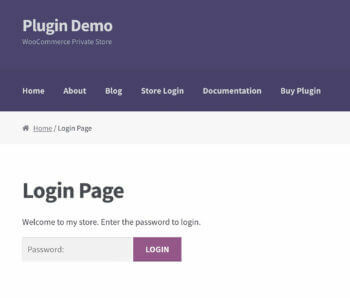 You can use WooCommerce Password Protected Categories with WooCommerce Product Table by adding the table layout to the category archive template. 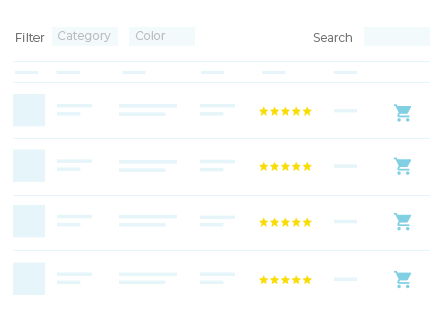 The customer will unlock their hidden category and see the category page with a product table layout. If you plan to use a bulk discounts plugin with WooCommerce Product Table, then you must ensure that caching is switched off on your product table pages. You’ll need to exclude these pages from any caching plugins or the caching added by your web host, and disable the caching option on the WooCommerce Product Table settings page. This ensures that each user sees the correct pricing, instead of viewing a cached version of the product table. WC Role Based Price does not work with the lazy load option in WooCommerce Product Table. I’ve suggested 2 easy ways to charge different prices to different user groups in WooCommerce. Read about how each one works, and choose the method that’s best for your site. To set up product tables with role based pricing, you need WooCommerce Product Table plus one of these 3 pricing plugins: WooCommerce Dynamic Pricing, WC Role Based Price or Dynamic Pricing and Discounts for WooCommerce. Install your chosen 2 plugins, follow the instructions in the documentation, and you’re good to go! Add role-based pricing to your WooCommerce site now!